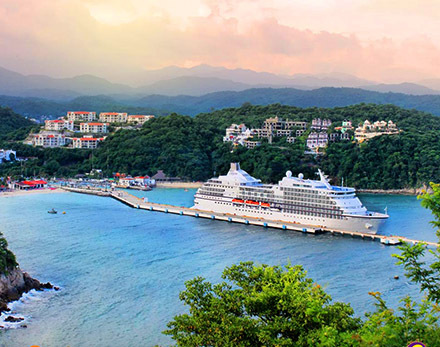 Welcome to Huatulco, the Mexican paradise. 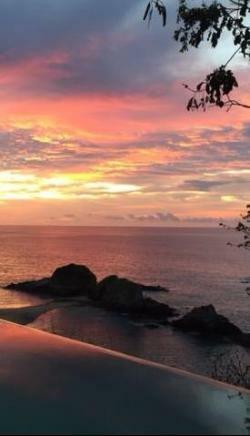 Relax in the 9 charming bays located in the south of Mexico, where the Sierra Madre Sur meets the Pacific Ocean to form an extensive zone of 35 km of beaches and lush vegetation. 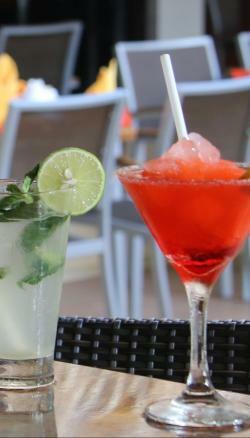 Let yourself be conquered by tropical climate and sunny days. 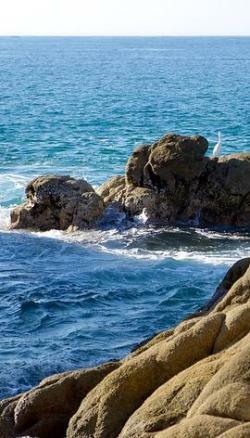 Visit Huatulco and get to know the best-kept secret in Mexico. 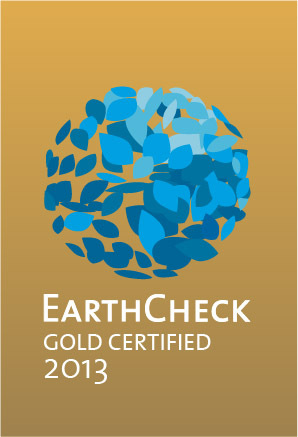 Under the environmental management system EarthCheck, Huatulco received the EarthCheck certificate Gold in 2013 upon improving the environmental, social and economic sustainability of its tourist initiatives. 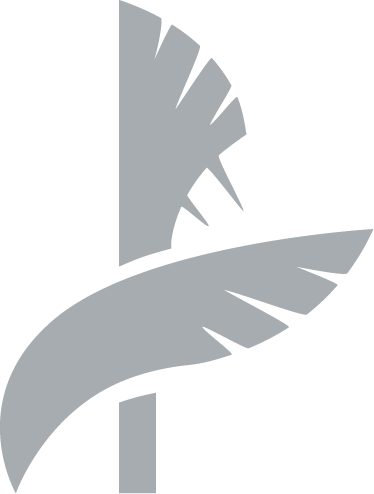 Today it has strong management solutions based on rigorous scientific criteria, constantly renewing its commitment to protect the environment and tourism. 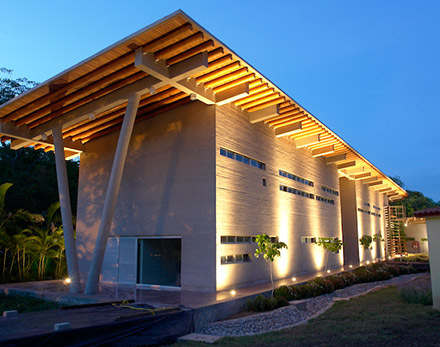 The program Distinctive “S” is a recognition for good sustainable practices endorsed by EarthCheck and Rainforest Alliance. Huatulco receives this award by promoting sustainable development and by protecting the environment, beaches and tourist activities, while improving its competitiveness without sacrificing the quality of its services. 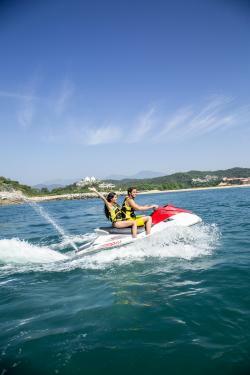 In Huatulco you will find great activities for the whole family. A land of enchantment because of its wealth of natural and splendid beaches ready to be explored by the world. 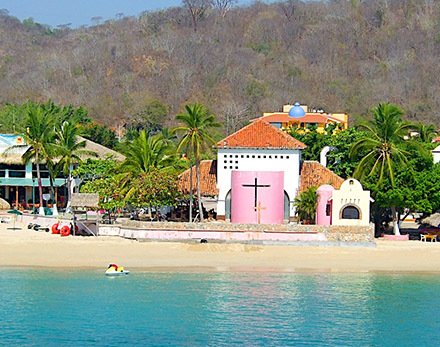 Walk along its quiet streets and feel its exceptional tropical climate; 330 days of sunshine a year make Huatulco a paradise to be visited in any season. 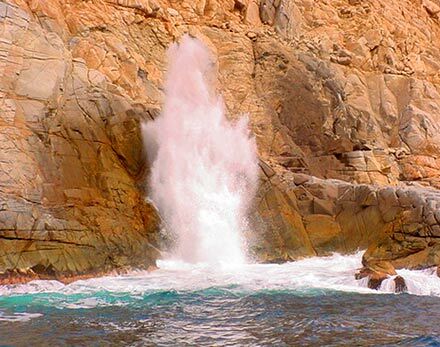 A natural spectacle from the cliff up on La Entrega Beach. Where the forces of the wind and the sea spout water to a height of 50 meters. Discover the largest painting of the Virgin of Guadalupe in the world. 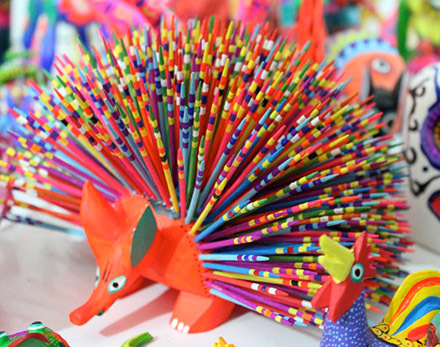 A piece of art that represents the traditions and customs that are alive in Mexico and in Huatulco. 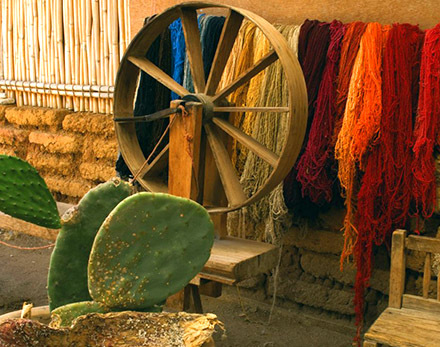 Huatulco retains the ancestral tradition of the looms. Pieces of handmade art surrounded by an ancient tradition that still lives on today. 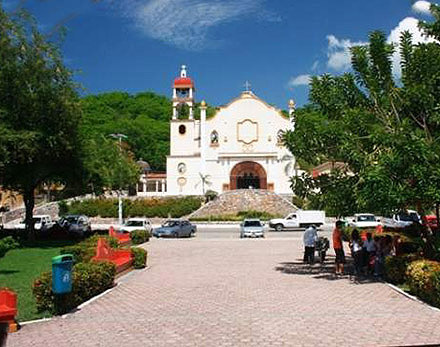 At the ‘3 de Mayo’, Huatulco relives the legend of The Holy Cross, a miraculous wooden cross that was anchored in the ground before the Conquest and could not be moved by anyone.